There is an expression, “Sticks and stones can break my bones but words can never hurt me.” Words have no power, really. Words don’t physically harm anyone. So, in other words (pun intended), words have no value. The Talmud (Arachin, 15:B) teaches that talking about a third party who isn’t present at the time of the conversation harms three people: he who slanders, he who accepts it, and he about whom it is said. Our speech indeed has power! If speaking ill of another can have a negative affect, think how positive beneficial words are to others! Very fun fact: The meaning of the original Aramaic sentence -- אברא כדברא -- ‘Abracadabra!’ which magicians have made part of English-language lexicon -- means, I will create with my speech! 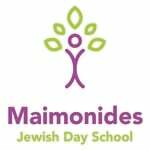 At Maimonides, we want to impress upon our students the importance of thinking and speaking positively, particularly about others. We are introducing a new piece to our weekly Maimonides Friday assemblies. Twice a month, we’ll include content that supports the paramount practice of positive thinking and speaking about others, and it furthers the school’s extant middot/ethics program. Yes! Of course, I believe in the power of words. If you say something positive then only positivity will be everywhere but if you negative things then negativity will be there. 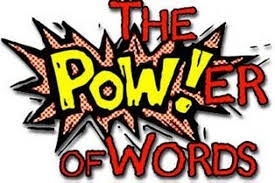 Its all about the power of words.